AMBALAVAO, Madagascar: Babies wail as a nurse tries to reassure mothers who have come to vaccinate their children. 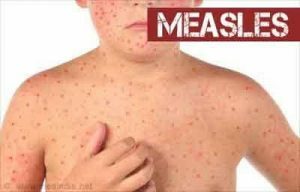 They fear a measles epidemic that has killed more than 1,200 people in this island nation where many are desperately poor. Just 58% per cent of people on Madagascar’s main island have been vaccinated against measles, a major factor in the outbreak’s spread.